It is almost that time of year again for KTL Solutions to host its annual Mid-Atlantic Technology User Conference, “Empower the User”. This will be our eleventh annual user conference and it will be held on May 19, 2016, at the Microsoft Center in Reston, Virginia. In past user conferences, we have found that many users have benefited greatly from the topics presented and have been able to immediately apply some of the information obtained when they returned to their offices. This year’s user conference will begin with a general session presented by our keynote speaker, Tom Hood, CEO of the Maryland Association of Certified Public Accountants (MACPA). Tom Hood has been named as the fourth most influential leader in Accounting Today’s 2012 list of the “Top 100 Most Influential People in the CPA Profession,” (his eighth time on the list). Tom stands out in three areas: leadership, learning, and technology. Following Tom Hood’s opening session, the information that will be presented at this year’s user conference is broken into three tracks, depending on your organization’s needs. The three tracks offered are: ERP/Accounting, CRM, and Technology. 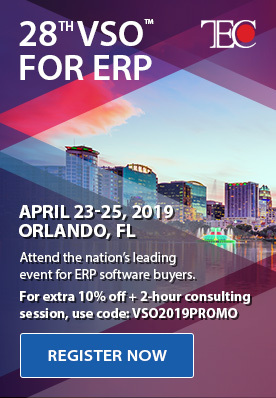 The three tracks will cover topics such as: Microsoft Dynamics GP, Microsoft CRM, Power BI, SQL 2016, Virtualization, SSRS Reporting, Security, Integrations, Paperless Systems, and much more. In addition to the three tracks depicted above, we will also host a hands-on lab, running parallel to the user conference sessions. With a VIP registration, we will also offer additional training sessions on the day before the user conference (May 18th), allowing users to directly participate in the learning experience. For more information on each session for the three tracks, as well as the hands-on lab and before conference training, please visit our website at: http://www.ktlsolutions.com/Events/UserConference.aspx. In this month’s blog, I wanted to highlight the elements that will be discussed in the session I will be presenting during the conference, “Save a Tree: Tools to Go Paperless”. This session will be offered under the ERP/Accounting track at 2:30 on May 19th. In this session, we will explore the significance of turning your company paperless, and the benefits of having an electronic paper trail versus having to file and maintain hard copies. In my session, we will explore the paperless environment and how to take advantage of the paperless system. We will discuss the efficiencies created in both processing and retrieving the paperless documents. I will identify some of the bottlenecks and explore ways to reduce or eliminate these bottlenecks for faster approval through the use of workflows and workflow tools. Also, I will explain how to capture data, and associate that data to the appropriate transactions within your ERP or CRM system for faster retrieval of the information by the users from their workstations. An overview will be provided of the workflow process and tools that will enable your organization to operate more effectively to ensure all documents are routed in a consistent manner. This session will focus on how to manage your paperless documents to obtain the most out of your current system and utilize the current technologies at your disposal. To take full advantage of the valuable information offered by KTL Solutions at this year’s eleventh annual Mid-Atlantic Technology User Conference, please register by visiting our website at http://www.ktlsolutions.com/Events/UserConference.aspx. How Can Paper Wreak Havoc in Your Company? 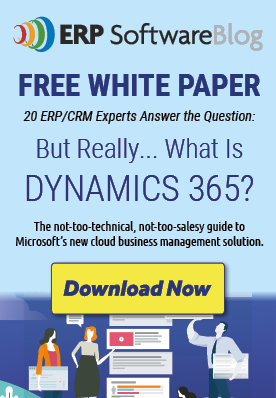 Not for Profit .. What Options Are There Out There for You Using Dynamics GP?